nuovo telaio in Ergal 7075 T6 da 2 mm di spessore lavorato a macchina CNC, più largo di 3mm nella parte centrale dove ci sono i punti di fissaggio delle sospensioni, piastra posteriore da 2mm sempre in Ergal 7075 T6. 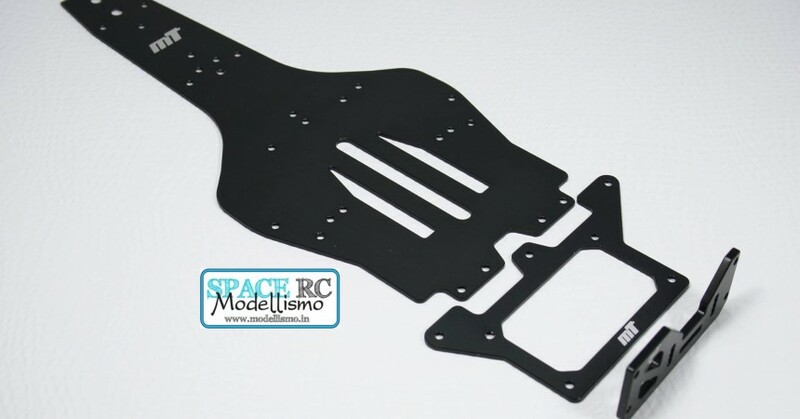 Supporto ala in Ergal 7075 T6 da 3mm scaricato nella parte centrale per abbassare l’ala posteriore di 6mm aumentando la rigidità del gruppo banchino posteriore favorendo una migliore trazione, nei prossimi giorni li troverete disponibili nei migliori punti vendita. 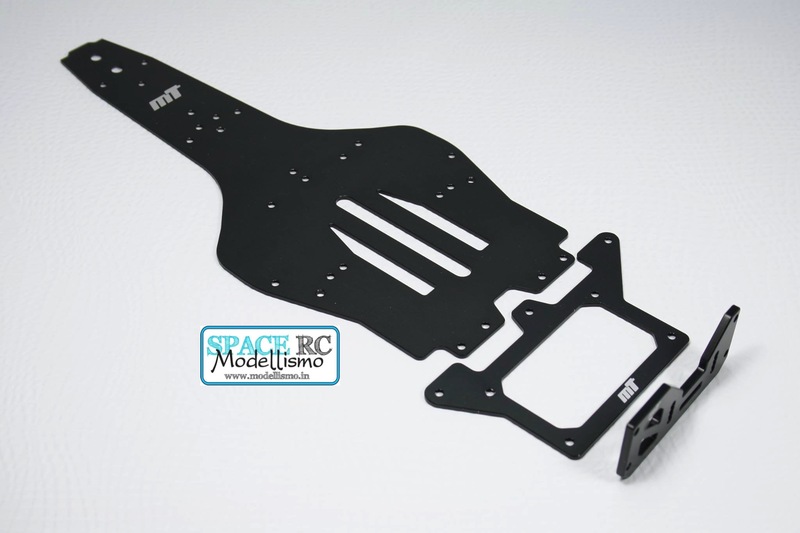 Mon-Tech Racing from Italy have introduced a range of aluminium option parts for Xray’s X1 formula car in the form of a main chassis plate, a rear lower pod plate and a wing support plate. Starting with the chassis and the rear lower pod plate, the parts are CNC-machined from 2mm aluminium with the chassis being 3mm wider in the centre area where the suspension links attach to the chassis. Both parts come black anodised and with laser-etched MT logos. It is understood that the somewhat stiffer parts make for improved handling especially on high-bite surfaces. Also new is a 3mm thick wing support plate that makes for more rigidity of the rear pod. Machining of the centre section reduces the overall weight and the part allows to lower the wing up to 6mm.